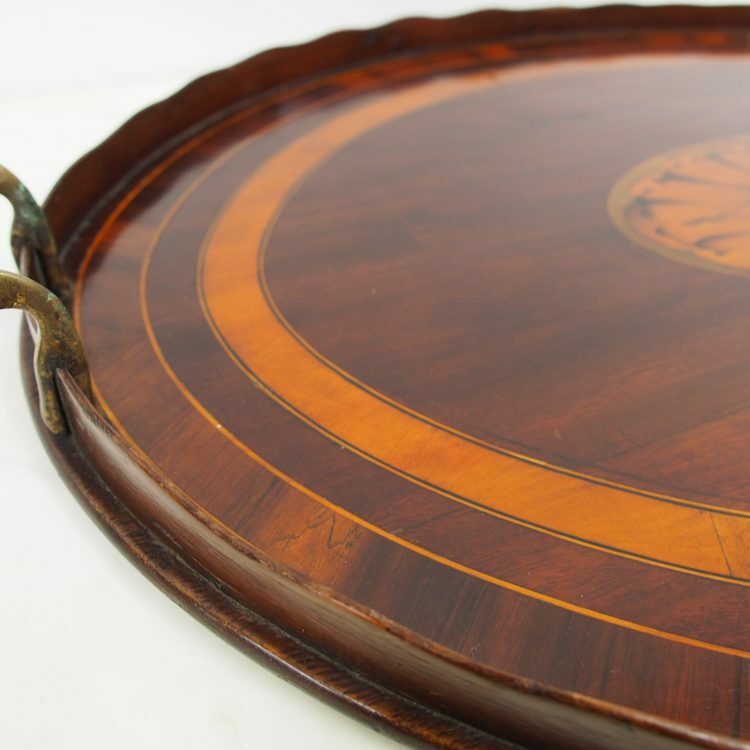 Circa 1890, large Oval Georgian style tea tray. 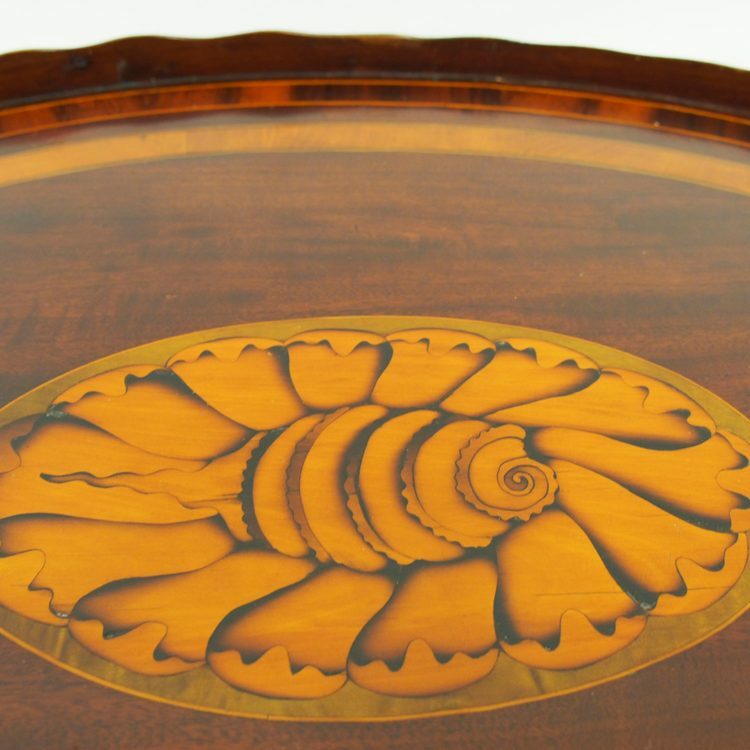 Around the outside of the tray is a wavy gallery, and two handles with one to each side. 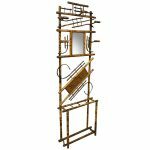 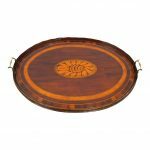 It features a large conch shell inlay in the centre with satinwood and rosewood banding. 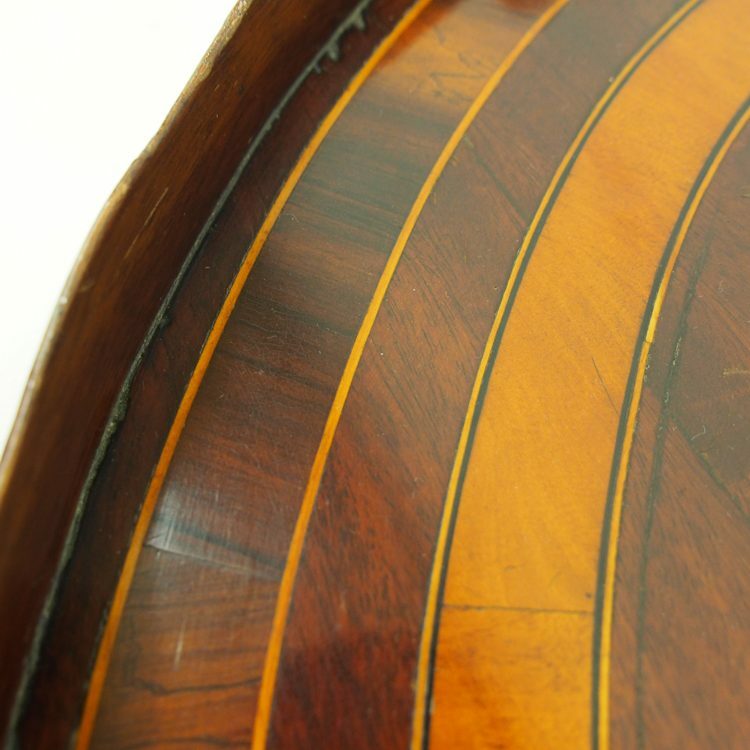 A boxwood and ebony inlay curves around the periphery, following the shape of the tray. 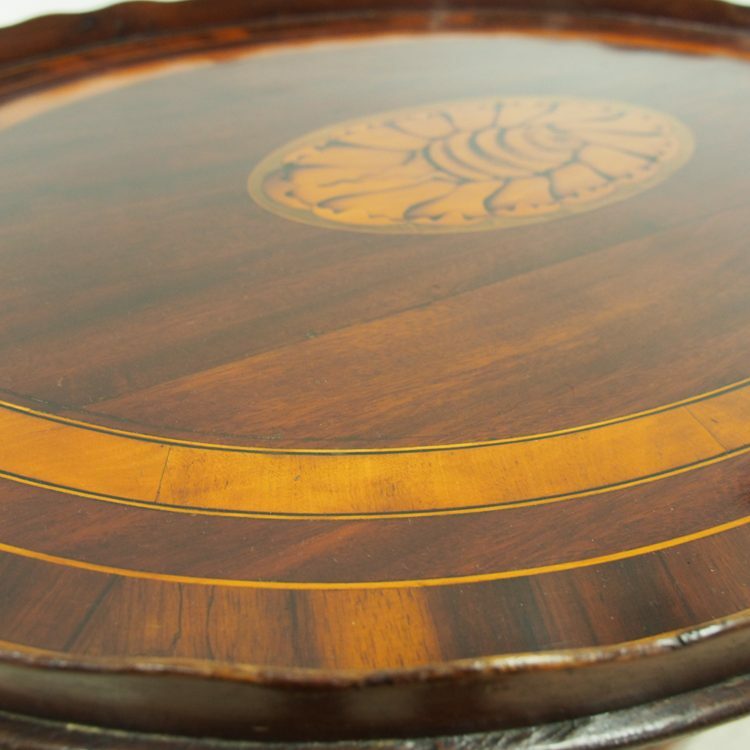 It retains its original colour and patina. Size 4 cm high x 69 cm wide x 49 cm deep.